It’s been over a month since I posted anything here, but I’m back!! God has been blessing RHM and the folks that have attended our events so much. I have two news articles on The Jesus Dialogue in Honolulu and the event last week at Fletcher Academy in North Carolina into the editors. (My Grammar is horrific.) Ha! I’ll post them this weekend as soon as I get them back. But until then, yes, I’ll be updating the website this weekend for November too. Sorry I have simply been going Mach 5 over the surface of this Globe but I’m almost done traveling for the year. Crossing my fingers that the year’s end comes before burn out. Right now, I’ve been pushing myself too hard and am suffering from the worst sinus infection I believe of my life! But, I’m on a flight across the country this evening on my way to Lakeport, CA. This weekend, I need your prayers. I’m worn, but my heart is still passionate to share. I just need my body to catch up. So pray for me. 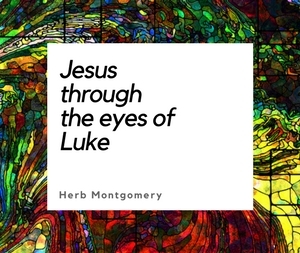 I’ll be sharing some new concepts on our picture of God and how Jesus taught us to see Him. I’m so excited over this material, BUT, I’m in need of your prayers for sure. Please pray for all those who will be attending as well. Thank you in advance for your prayers. Keep living in love, loving like Christ, and keep building the Kingdom.